Gunnar Johan Stålsett graduated with a degree in theology in 1961 and taught at the Missionary School in the City of Stavanger from 1964-1969. From 1969 until 1977, he served as Secretary General of Mellomkirkelig Råd, the Church of Norway’s Council on Ecumenical and International Relations. In 1977 he was elected Chairman of the Center Party and held that position until 1979. He served as Secretary General of the Lutheran World Federation from 1985-1994 before becoming Rector of the Seminar of Practical Theology at the University of Oslo. 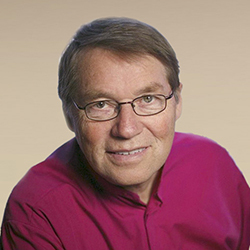 Gunnar Stålsett was a member of the Norwegian Nobel Committee 1985-1990 and again served in the Committee from 1994-1998, when he became Bishop of Oslo.